Glyde-In's comfortable rooms are available for hire. Availability is limited mainly to evenings and weekend. Kitchen facilities are included. 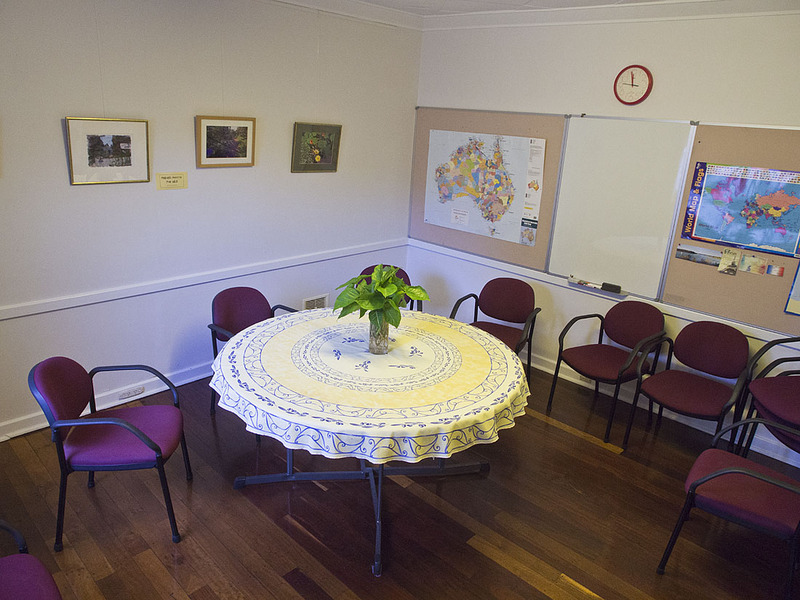 Room hire costs $23 per hour for non-profit groups, $30 otherwise. A $200 refundable deposit applies. Groups charging entry require their own public liability insurance. 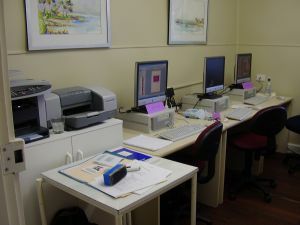 Use of our tv screen, exercise mats, etc can be arranged. 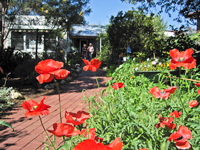 Glasson Park is next door and is a well-used and very attractive facility. 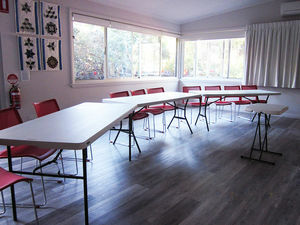 Our back deck is friendly and is included in room hire, providing it doesn't interfere with other groups who may be using the centre at the same time. Cancellation: A full refund will be issued if cancellation is made more than 7 days' prior to the booked date, otherwise a $25 fee applies. Our Back Room seats up to 35 people in rows, fewer if tables are used. 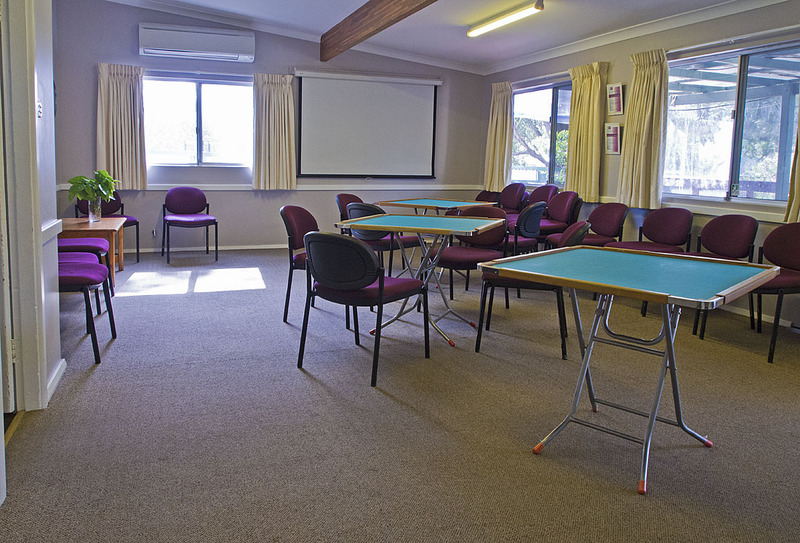 The room is carpeted, and trestles or mah-jong tables are available. A projection screen is wall-mounted, as is a whiteboard. 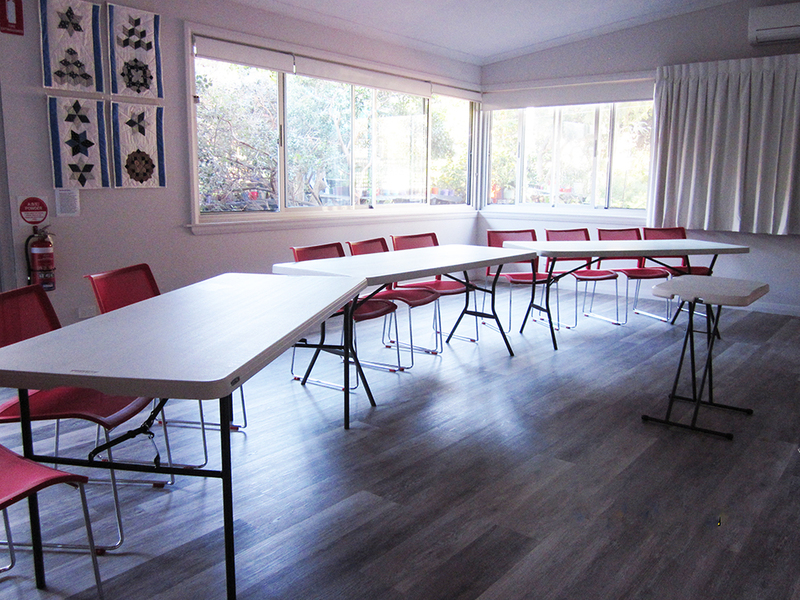 Our Front Room has a polished wooden floor and seats 12 people. The table can be folded away. 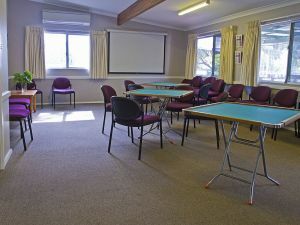 A light and airy self-contained room with tea facilities, 40 chairs, 4 trestles, large screen, whiteboard, plenty of light and a peaceful garden outlook. Can be used for art or handcraft, presentations, group work. There is an outside sink for art materials disposal. This room is not for hire, but is used for our own courses.